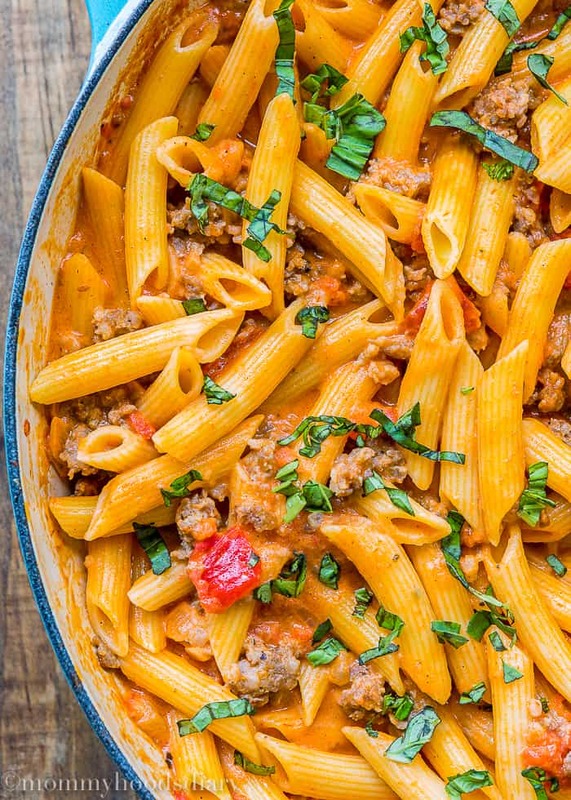 Make this Penne with Sausage and Spicy Cream Tomato Sauce recipe tonight! 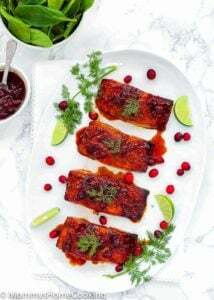 It’s simple to prepare and super delicious. A family-pleasing dinner that is ready in less than 30 minutes. Don’t we all love a good pasta recipe? I know my family do! Plus, we could all use a few more easy and delicious dinner ideas in our lives… am I right? 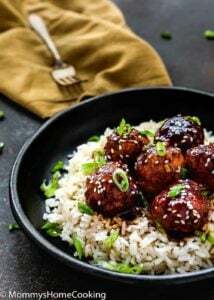 Well, this recipe fit the bill since it’s not only super easy to make, but also amazingly delicious. 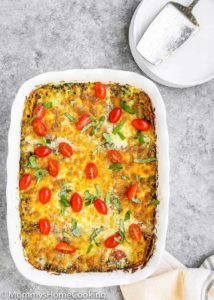 It’s perfect for a weeknight dinner, you can have this ready in less than 30 minutes!! I usually don’t cook pasta more than once per week, but when I do I like to try new ways to serve it. This time I decided to I crank things up a notch by adding Bob Evans Original Sausage. At first, I was a bit hesitant to add it because, as you know, my kids are super picky eaters. Any change of color, or texture, in their food turns on the alarms and they shoot their mouths immediately. Thanks goodness that didn’t happen this time. They loved the “creamy pasta” – as they named it. 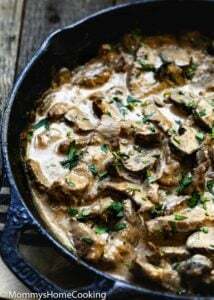 This recipe is comforting! 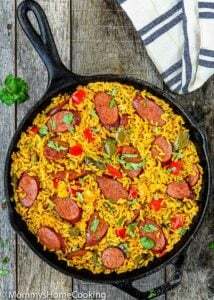 The sausage gives the dish meatiness, and just a bit of spiciness. The sauce is creamy and tangy … just perfection! 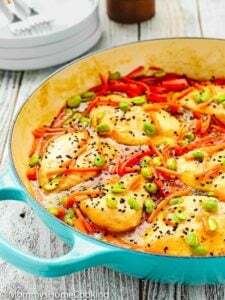 I use a pinch of red pepper flakes in the sauce to give it a little “zing“– nothing overwhelming! You can add more or leaving it out entirely depending on your family’s spice tolerance. 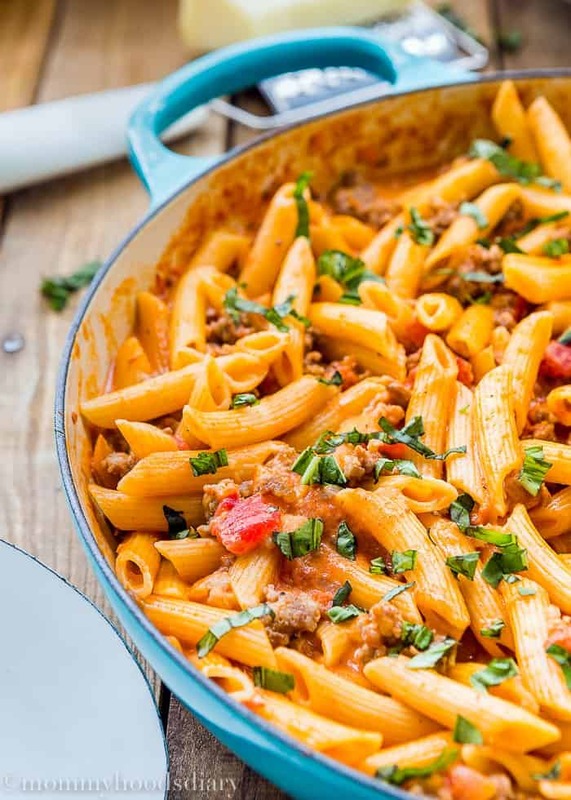 There’s no bad time for a luscious bowl of mouthwatering Penne with Sausage and Spicy Cream Tomato Sauce so go ahead and jazz up your dinner tonight!!! Cook the penne pasta according to package directions. Drain and reserve. Heat oil in a saucepan over medium. Sauté the onions and garlic until soft, about 3 minutes. Add Bob Evans sausage roll; cook and crumble the sausage until no longer pink. Add in the tomatoes and hot red pepper flakes; mix to combine. Season with salt and pepper to taste. Pour in the heavy cream and butter; stir to combine. Add the drained pasta into the sauce and toss to combine. Bring the sauce and pasta to a boil, stirring to coat the pasta with sauce. Sprinkle on the basil and Parmesan cheese, if desired. Serve. Disclosure: This is a sponsored post in partnership with Bob Evans. However, all opinions expressed are my own as always. Thank you, though, for supporting them and the other brands which help make this site possible. Thanks you, Sam, for stopping by!!! Oriana, I am all about a quick, easy, comforting meal. 90% of the time I am in a mad rush about dinner time. This meal is perfect for me and my family. The pictures are BEAUTIFUL!!! 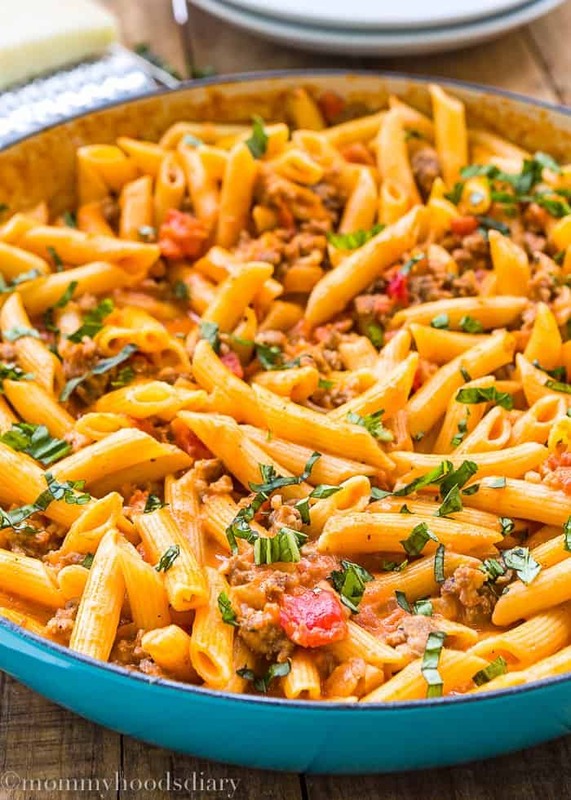 Would love a big bowl of your Penne right about now…. Can’t wait until I can make this! So do I, Katie!! 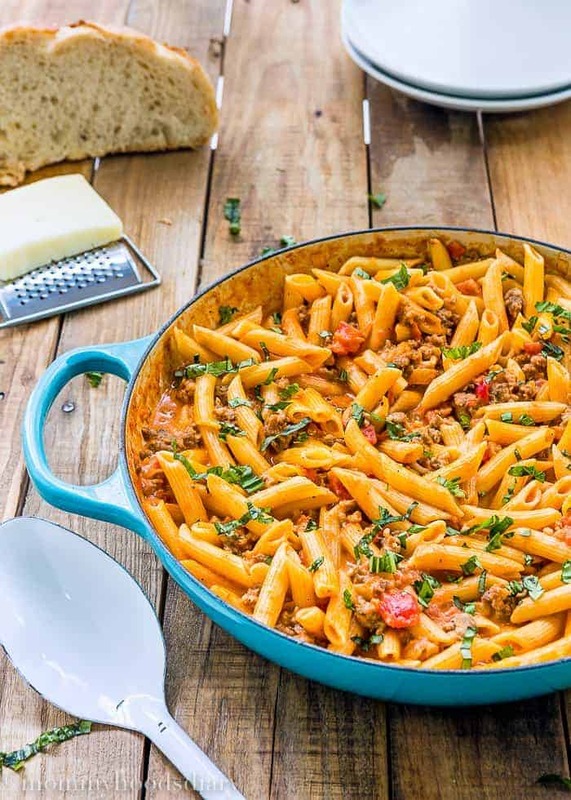 This penne dish is delicious and quick to make…Win-Win. Hope you give a try soon. You can make it as hot and spicy as you wish by adding more pepper flakes, Ilona!! Thanks for stopping by. Mm, this pasta sounds sooo good! 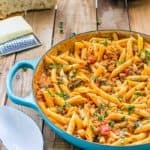 I love how quick and easy pasta recipes are, but I seriously need to mix it up a little. I’m adding sausage to my shopping list STAT! Also, that enamled pan you cooked the pasta in is stunning! Is it Le Creuset? The color is my fave!